When do you start putting up your Christmas decorations? When I was little I remember putting up the Christmas tree every year. Not at the beginning of December, and never any earlier, but probably a week before the big day and the tree always then stayed up until 12th Night (5 January). 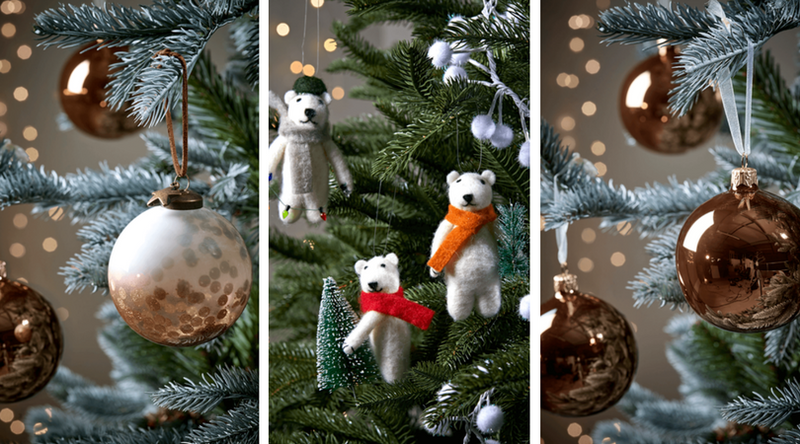 We rarely had a real tree either but a family tree passed down to my parents and also with some heirloom baubles too – my favourite was always the squirrel and mouse that I still have today – all be it slightly well worn. and this picture is our very first as parents and now they are tweens it's still really special. 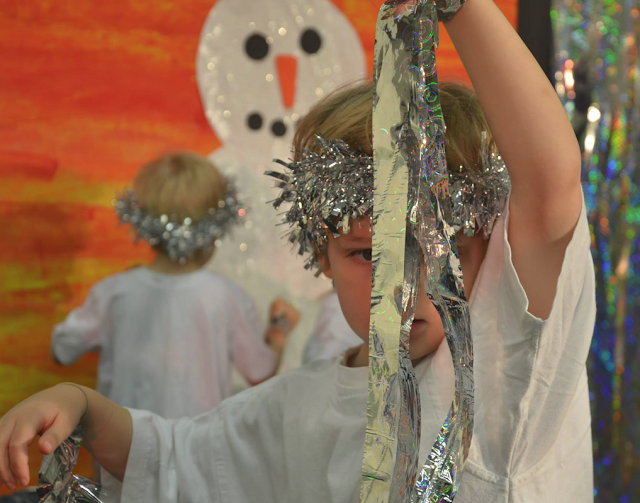 This year we are going to Pantos, a live show of The Snowman, and I'm hoping to see Santa a few times more too. But the decorations will be up first! Now I’m keen to get started at the beginning of December. Once the first day of the month was only marked by an advent calendar now it’s my excuse to decorate the whole house. I think it brightens up December. The kids love it and it makes the most of all the decorations that we have hidden away in the loft for the rest of the year. Although Christmas shopping may have begun I’ve never been tempted to get too festive in the house before December 1st though - not yet, anyway! Bringing the tree down from the loft always has and always does bring back so many memories. Sorting out the Christmas lights, tinsel, baubles it’s a tradition that I love and have fully embraced in my own home. 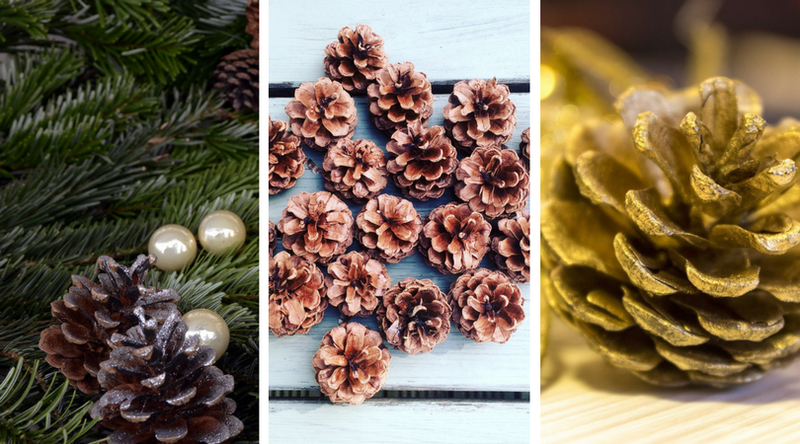 We have just decorated half of our house and I’m currently looking at what new and/or additional Christmas decorations I can add to style our home this coming festive period. We’ve been collecting pine cones, quite a collection now as you can see below, so I quite fancy getting the boys to decorate these with glitter to make them sparkle and turn them into decorations. Lots of retailers have great stuff this year too. Cox and Cox have some lovely decorations for both inside and outside the home to suit your own personal style from on-trend botanicals to decadent copper, including lighting, trees, garlands and accessories. All handpicked too so not what you’ll find in other traditional catalogues. I particularly like this tree and it would go lovely in our new freshly painted hallway – a real welcome for our Christmas guests. At £45, it’s also perfect for anyone short on space. 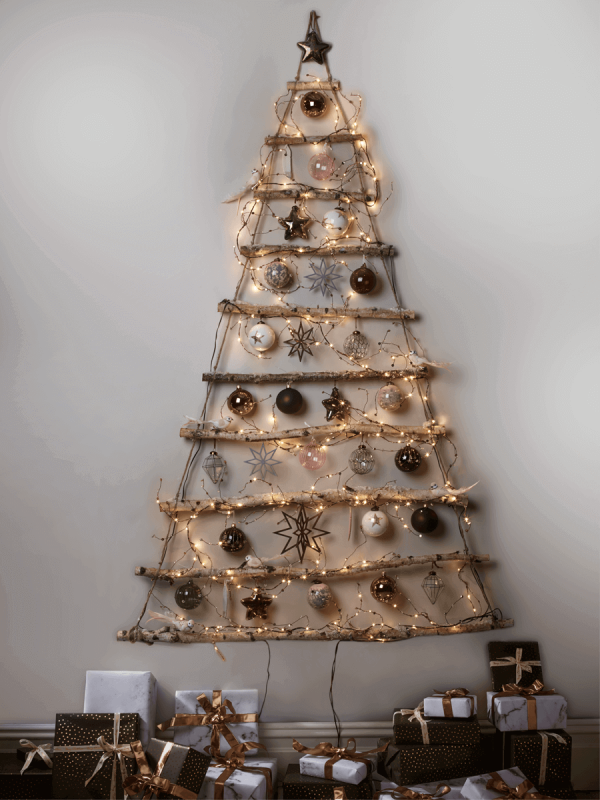 This rustic hanging tree has been carefully created using ten natural birch branches hung together with strong jute string and is easy to hang from a hook on a wall. 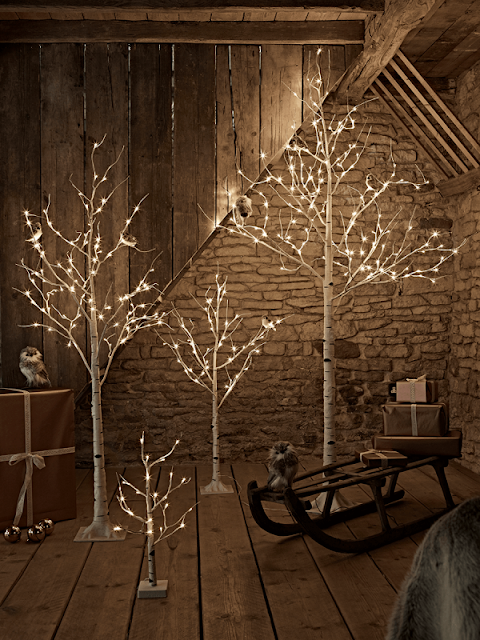 These indoor-outdoor trees from £35 are so simple yet beautiful. 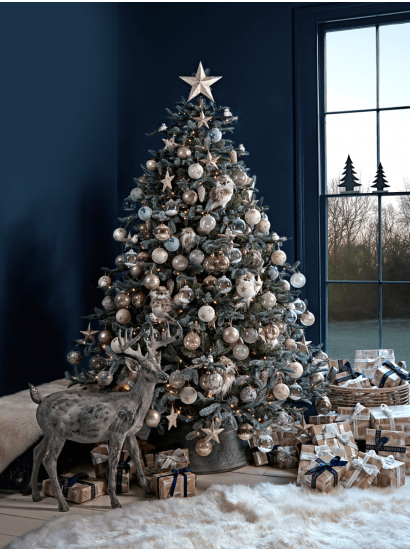 This pre-lit mountain spruce tree at £350 is more expensive but would complete the festive look of our lounge nicely too. And these baubles, from £5.50, would look good in any home. Putting up the Christmas decorations always create great memories. Last year we let the boys decorate the tree themselves, and I promised not to ‘put it right’. They did a great job and their teddies got in on the action too. I think it will be December 1st again for us this year as the boys love helping and gets us all in the Christmas spirit. 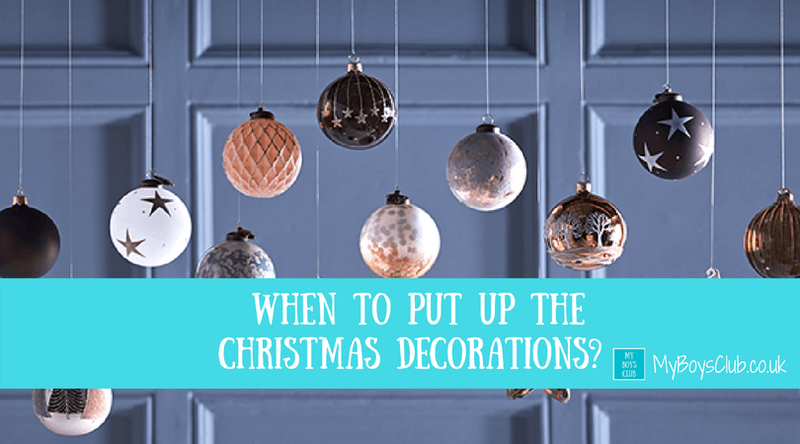 When to Put up the Christmas Decorations? I asked a few other families when they put up their decorations and how that differs from when they were young. We seem to be the same as many other families now, with decorations going up at the beginning of the month – much earlier than when we were children ourselves. Abi said: “We always do put our decorations up in the last weekend in November - I like it to be ready for 1st December! I don't think we ever put them up that early when I was a kid, but ever since I moved out that's what we have done. It's only becoming more exciting since having our own children but I've always been a huge fan of Christmas anyway!!" Debbie said “Our decorations usually go up on 1 December as I like to make Christmas last as long as possible. They come down just after New Year as my son's birthday is on 3rd January and we usually have birthday banners etc for that. When I was younger they were put up the weekend after my Dad's birthday on 6th December and taken down before my Mum's birthday on 4th January. Ally said “Day after my son’s birthday on the 6th December. We have a ritual. I do the tree decorations whilst playing my Xmas songs. I really make an effort as we didn't really celebrate Christmas when I was younger. 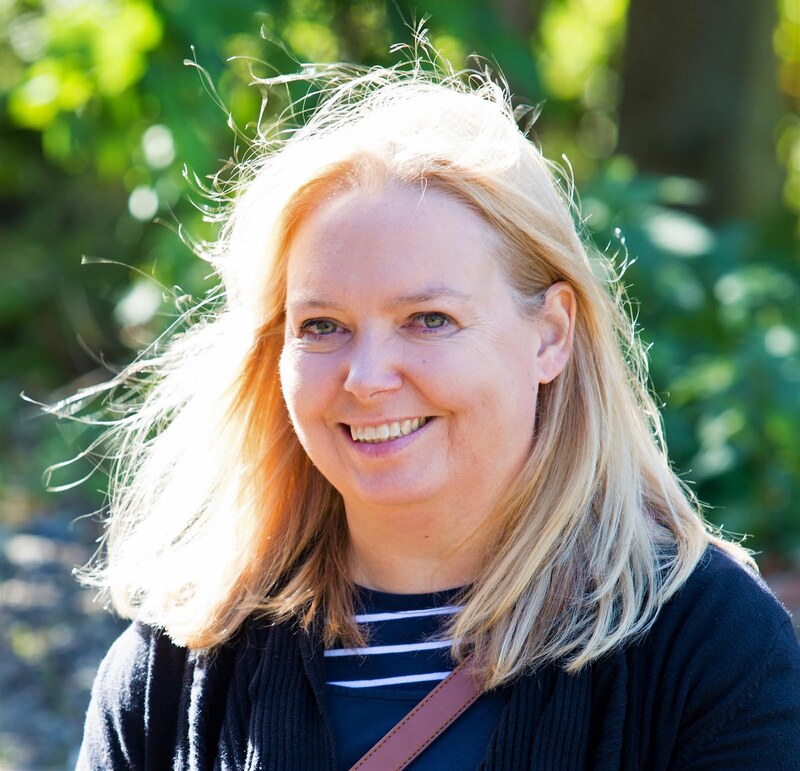 The latest was Emma who said “Usually the week before Christmas as my husbands birthday is the 14th and I don't ever want it to be Christmassy for that. We also love a real tree and if you get it too early you risk having too many needles dropping before the day. When do you put up your decorations? Disclosure: This is a sponsored post by Cox and Cox and we have been compensated for our time in writing it, but all content is original and written by My Boys Club. Product photographs have been supplied by Cox and Cox. Although I hate to admit it, your post made me feel a twinge of excitement for Christmas! haha I am definitely not one to put my decorations up too early, but these days I think so many people do. I always remember making our own decorations every year and hanging them on my tree, and always tried to make it a magical time for my kids, too! I normally like to put them up on the first day of December. Oh now I want to skip Halloween !!! These decorations are amazing ,this year I really need to buy some new ones too,you've just given me loads of inspiration ! 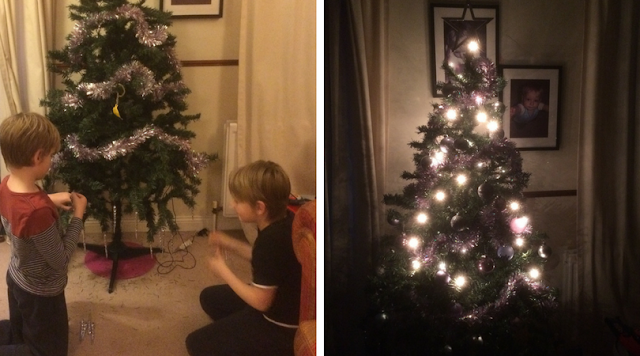 We tend to put them up on the 16th December ,as my eldest cannot understand time and thinks once decorations go up,santa comes . Yup I'm also keen to get them up 1st December and seeing as they have been in the shops since the last month I say why on earth not! I love that big tree that's full with twinkly baubles! We sometimes put ours up on the last day of November ready for the 1st of December but mostly try and do it on the first, I am the biggest Christmas addict so I'd be quite happy to put mine up now if I'm honest, I wouldn't though, I'm not completely crazy!! My Dad is the biggest scrouge, so we always had to wait until atleast the 12th December before he'd even consider going up unto the loft. My first proper Christmas in my own home this year however, and it will be up promptly on the 1st! I'll be itching before then though!